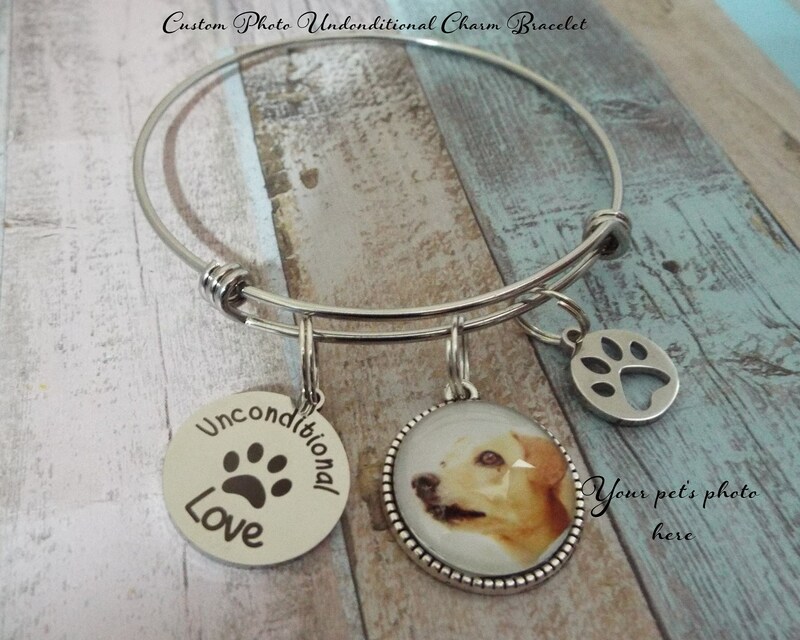 Your memorial photo will be resized to fit a 20mm diameter bezel (25.7mm = 1 inch). The bezel is then sealed with a domed, high quality glass magnifying cover. 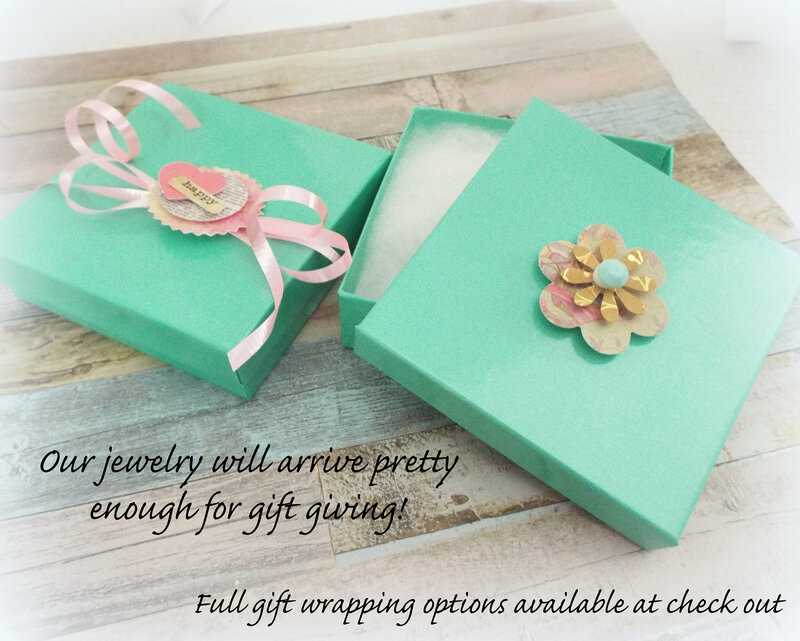 Please know that the quality of your photo charm will depend on the quality of the photo you send to use. I'm glad to work with older, faded photos, but I cannot be responsible for the quality of the charm if the photo is too faded. 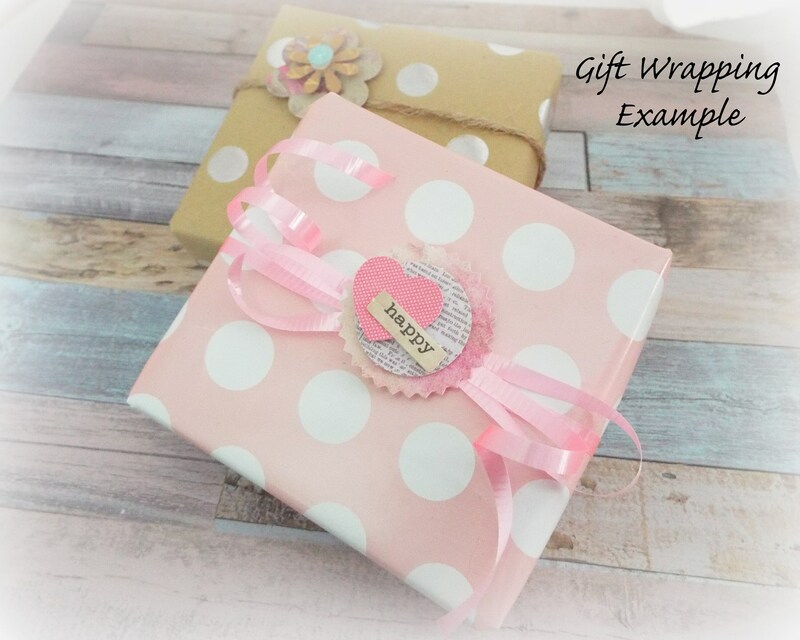 Our sympathy gifts are special handmade creations that are original Hope is Hip designs. 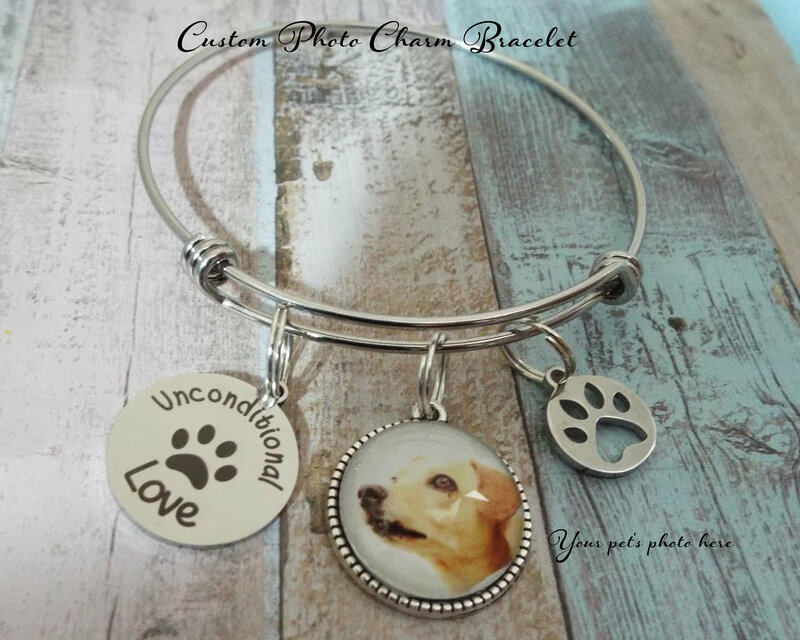 Our custom photo bracelets are not machine-made, reasonable variations are to be expected and contribute to the uniqueness and hand finished quality of each piece. We use only "double" jump rings to attach our charms. That ensures you will never lose them with normal use. If you wish to customize in any other way than which we've shown, please CONVO us, we've got plenty of ideas and love custom orders. The bangle is adjustable to fit most wrist sizes and is made of stainless steel. Stainless steel bracelets are always our choice for expandable bracelets. Stainless steel ensures your bracelet will never tarnish or lose it's color - it's also easy to care for. Just a quick polish with a soft cloth, and it will look like new again. Under normal wear, it's won't bend or lose it's shape - it's the perfect metal!